Why push notifications are important? Push notifications have an important role in the process which starts after a user downloads a mobile app. Because push notifications which are built correctly and efficiently may increase the lifespan of the mobile apps. Push notifications may help to develop a loyalty bond between the mobile user and the app, however, push notification sending plans that are built on the wrong strategies may even cause the user loss. In the mobile app world which has got an intense competition area, it is necessary to make a difference via push notifications to influence the users. So what kind of way should be followed to get more efficiency from the push notifications? You need to pay attention to prepare messages that create value and benefit to the users while preparing the push notifications. For this, focusing on the expectations and the needs of the people that use the mobile app may help you. User comments about the app, views which are shared on the social media platforms will give you important clues about that subject. 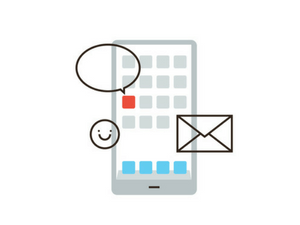 You can influence your users by sending push notifications at the right time. You can use the usage statistics of the app while determining the right time for sending the push notifications. According to some studies, the afternoon is the best time to send push notifications. However, it is necessary not to ignore that the ideal time zone may vary and show difference according to the user audience of the mobile app. You can inform your users about an update or an innovation in your app via push notifications. You may just plan to increase the time that your users spend on your mobile app. Whatever the purpose is, it is necessary that the push notifications should lead your users to a certain aim. This aim could be; selling, increasing the traffic or just developing interaction. However, it is useful to use some call to actions that will allow the action to take place in the context of push notifications. You can make things easier while organizing push notification campaigns by separating the user database into segments. In this way, it may be possible to convey the right message and the offers that are suitable for the view of a certain audience. Therefore, this is going to make your campaign and promotional works become much more successful. With the user segmentation, which makes mobile app marketing works quite functional and effective, you can analyze users having similar behaviors together and send push notifications only targeting them. Push notifications have a great role in the success of mobile apps. On the other hand, a misguidedly developed push notification strategy may cause the mobile apps fade into the background in the competition. In this regard, making a difference is possible with understanding the user expectations. If you want to have a successful mobile app which is oriented to the user needs, create your MobiRoller account and have your place in the mobile world without losing any time. How can you turn your mobile users into the brand ambassadors? In which way the user-generated content help you in mobile app marketing?